You guys, it doesn’t get any better than this dress! As soon as I shared it on Instagram stories I had so many questions about it and it’s nearly sold out. Although the price is a bit high for H&M, it’s such a versatile dress. You can wear it with flats (a plus for petite gals) or heels. I also think it’s a great dress for a super casual, outdoor wedding. 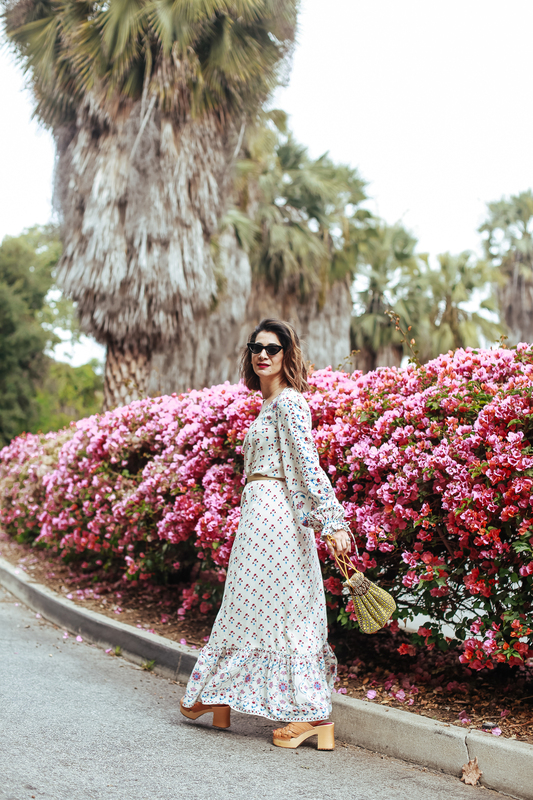 I’ve been wearing it with my clogs – yup, I’m a convert – and I love the vintage boho vibes the whole look exudes. That dress is everything! I think I must be a clog convert too now . The whole look is lovely.